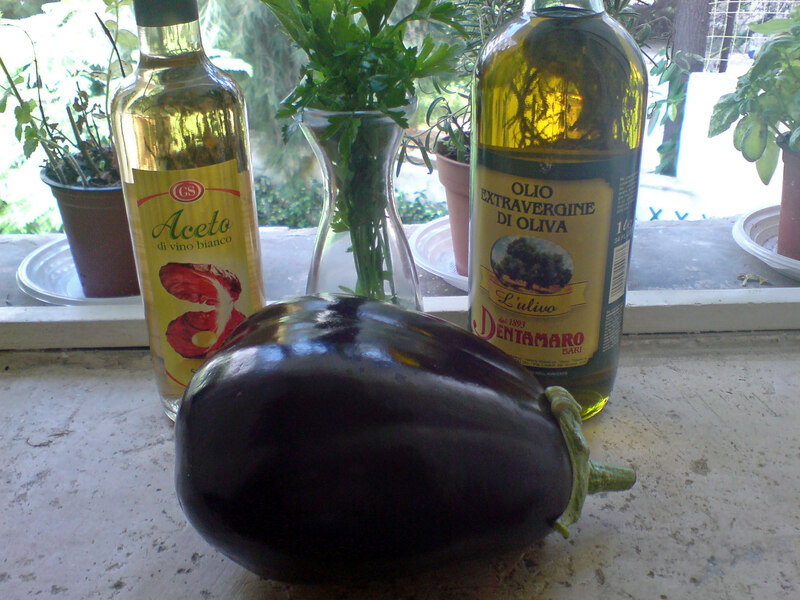 Sprinkle the aubergine with salt and drain in a colander for around an hour. Rinse and dry with kitchen towels. Grill the slices, prefferably on a barbecue. 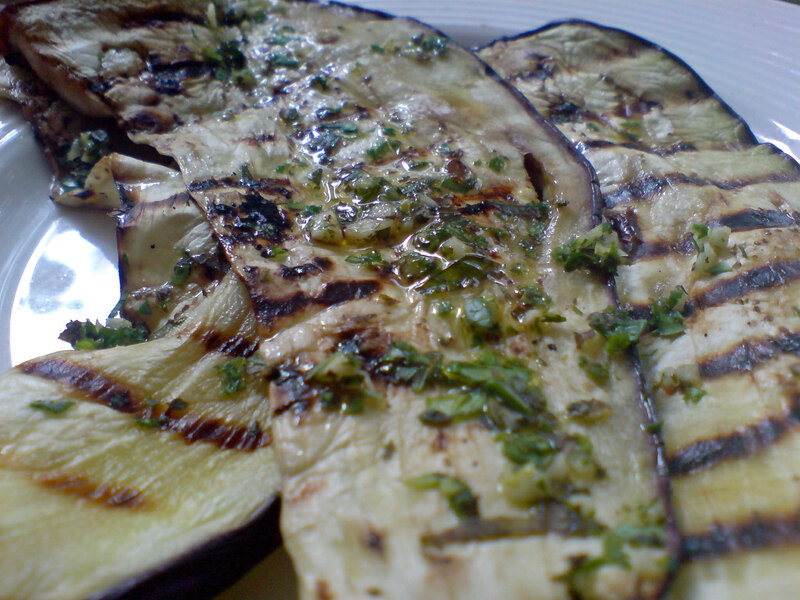 Arrange the aubergines in layers in a dish. Season each layer with garlic, mint, parsley, pepper, a good drizzle of oil and a few splashes of vinegar. Leave to rest for a few hours. Drizzle with a little more oil when you are ready to serve.